Kosovo buys everything from Serbia, including water, flour and livestock. The Kosovo Government has decided to sanction economically Serbia in response to its aggressive political approach to Kosovo. Every Serbian product entering Kosovo will be taxed at 10 percent. The same goes for Bosnian products. There is a long list of thousands of products will be subject to additional taxes, but international products that enter Kosovo from Serbia will be saved. Prime Minister Ramush Haradinaj was well aware that he was starting a drama with his own decision, but there are doubts as to whether the government will withstand pressure. Millions of Euros costed only the potable water that Kosovo imported from Serbia during the six months of 2018. This is just a continuation of a very unilateral trade between Kosovo and Serbia. The Kosovo government has imposed taxes on thousands of Serbian products entering Kosovo as a reaction. 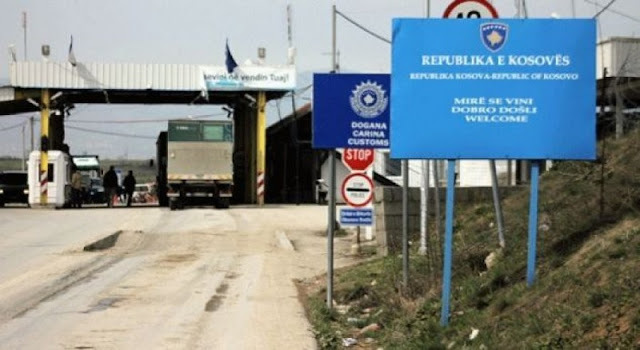 Kosovo's executive decided to sanction Serbia through the goods Serbia exports to Kosovo. In addition to Serbia, Bosnia and Herzegovina is also sanctioned by the decision of the Kosovo Government. An additional 10 percent tax will be implemented in all Serbian and Bosnian products entering Kosovo, except the products of international brands produced in Serbia and Bosnia. Kosovo imports thousands of goods produced by major world companies in Serbia, then sold in Kosovo. These goods will not be sanctioned.